How do I set up the SXFI AIR C to work with my PS4? Remember to have your personalized Super X-Fi profile loaded onto your SXFI AIR C before attempting to set-up on your console. 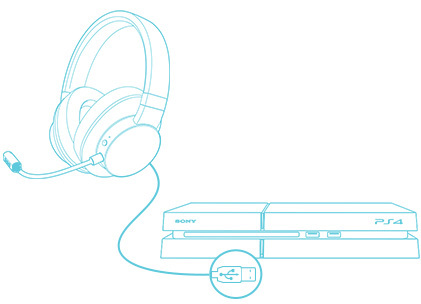 Use the provided USB Micro-B-to-A cable to connect the SXFI AIR C to the USB port on the PS4.